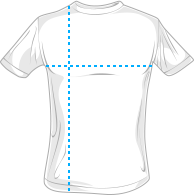 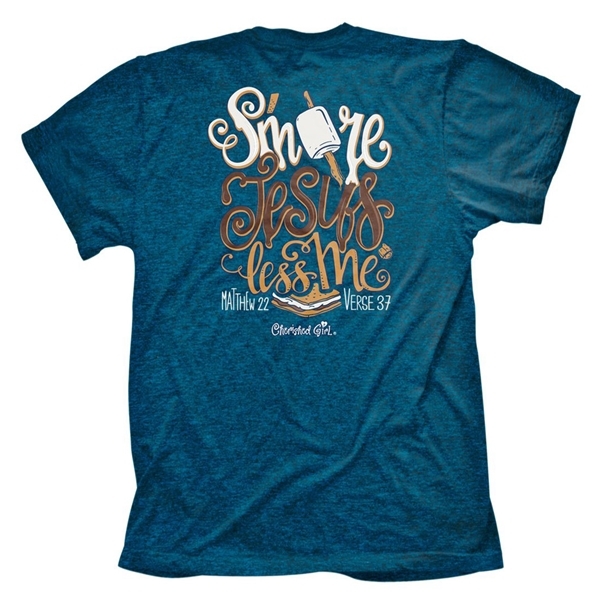 This t shirt reminds us to keep Jesus first. 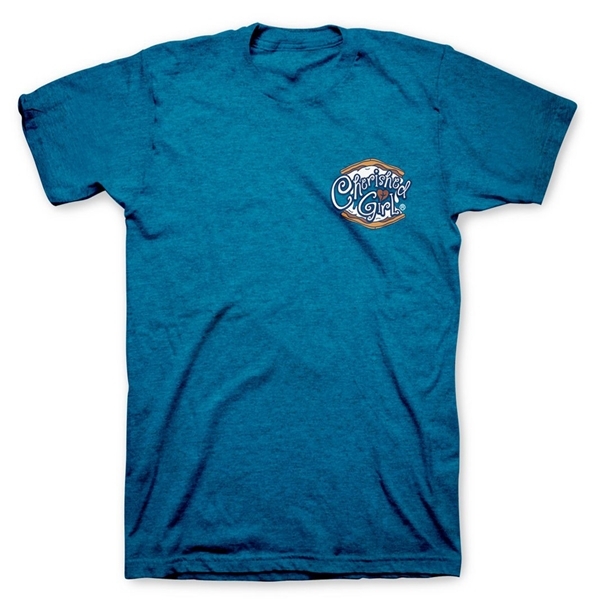 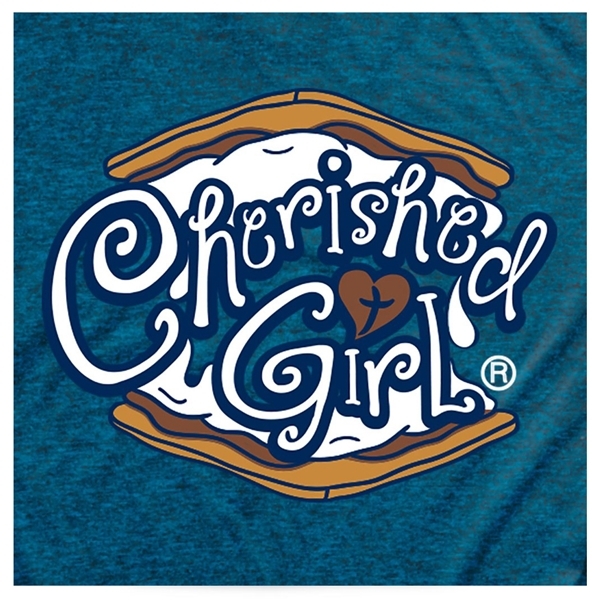 The front of this t shirt features a s'more. 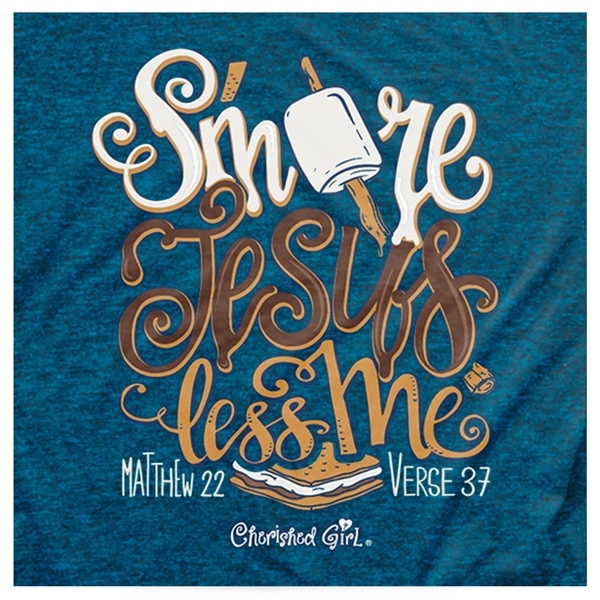 The back features another s'more with the phrase, "S'more Jesus, less me" and is inspired by Matthew 22:37, "Love the Lord your God with all your heart and with all your soul and with all your mind."